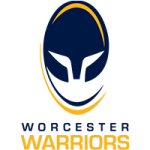 Warriors ran in nine tries to make it a clean sweep of wins in pre-season as they defeated local side Birmingham Moseley 57-0 on Thursday night at Sixways. Hat-tricks apiece for Josh Adams and Tom Howe along with tries for Ryan Mills, Dean Hammond and Ashley Beck meant it was a happy finish to pre-season for Alan Solomons’ men. Warriors used 30 players in the contest to get them some valuable game-time ahead of Saturday 1 September when the Gallagher Premiership gets underway against Wasps. The men in Blue and Gold looked strong from the off, particularly with their driving maul and got the first points on the board when Francois Hougaard went blindside off the maul and offloaded to Adams to scoot over. 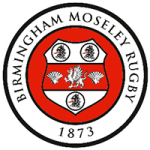 James Williams, who trained with Warriors in the summer, made a break for Moseley who searched for a response but after conceding a penalty in the 22, their chance went begging and they were soon punished. 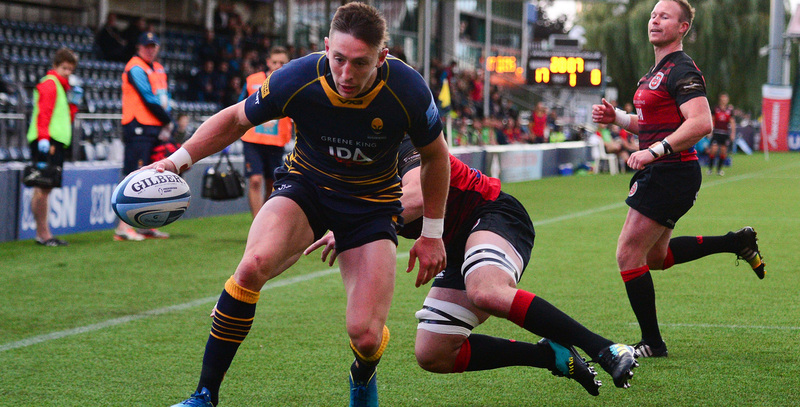 Joe Wrafter was shown a yellow card for a late tackle on Duncan Weir and after another powerful maul, Warriors soon recycled with Mills going over following impressive hands from Weir and an unselfish pass by Francois Venter on his first showing in front of the Sixways faithful. Warriors bagged their third after more good work from Mills who kept getting Warriors over the gainline, but it was his pinpoint crossfield kick for Adams that earned the third try just after the 20-minute mark. The game became a bit scrappy with a series of errors as the first-half petered out leaving Warriors 17-0 up. The second-half saw Warriors soon find their stride though when Adams crossed for his hat-trick after his fellow Welshman Beck made the hard yards, taking men with him before putting it on a plate for the winger. Weir fired over the conversion for his last involvement as Solomons unloaded a barrage of replacements who soon took the game to the next level. The driving maul proved a valuable weapon yet again in the 22 before Warriors got it to Hammond and his hard-ran line saw him stretch over under tacklers for Warriors’ fifth try and Jono Lance sent over the extras. Aussie fly-half Lance then used his trusty right foot to put one in behind the Moseley defence and with a host of men in Blue and Gold chasing, Howe had the legs to dot it down before the ball bobbled out of play. Howe then helped himself to a second try off the back of some fabulous work from Luke Baldwin in attack as he powered into the backline before sending his wingman away. Lance then pounced on a loose Moseley pass to put Warriors on the front foot yet again and with the impressive Ollie Lawrence in support, the centre kicked on for Beck who scooped the ball up to bash his way over the whitewash. And to complete the win, Howe secured his hat-trick after Ted Hill’s barnstorming break from over halfway. All eyes on the first home Premiership match now as Warriors get set for a different level of opponent in last season’s title-chasing Wasps.